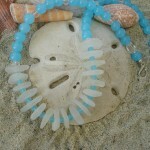 View cart “Sterling Silver Starfish and Sea Glass Necklace” has been added to your cart. Sky Blue Beaded Stacked White Sea Glass Necklace. 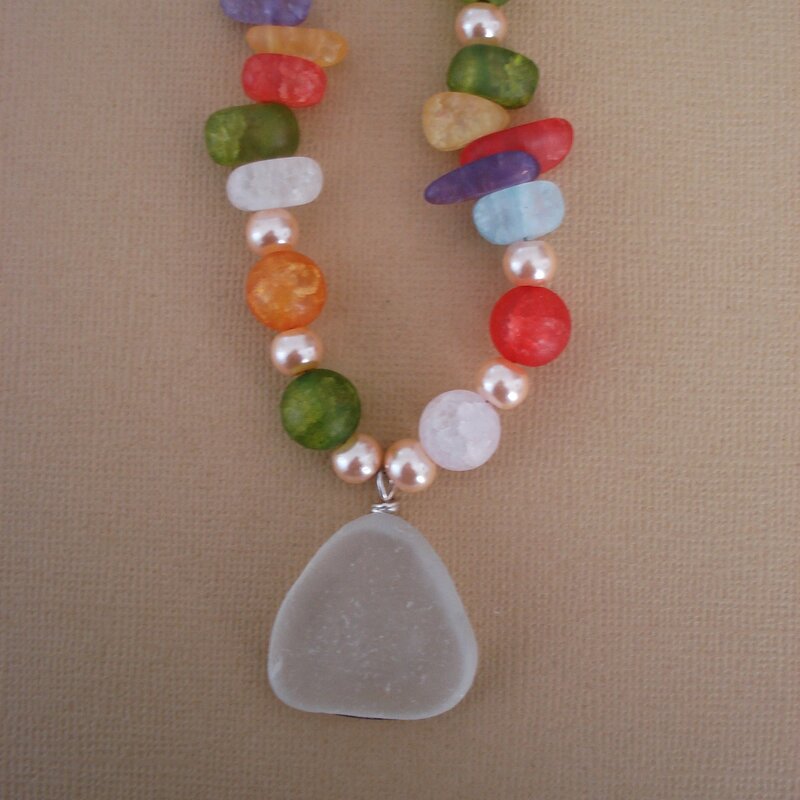 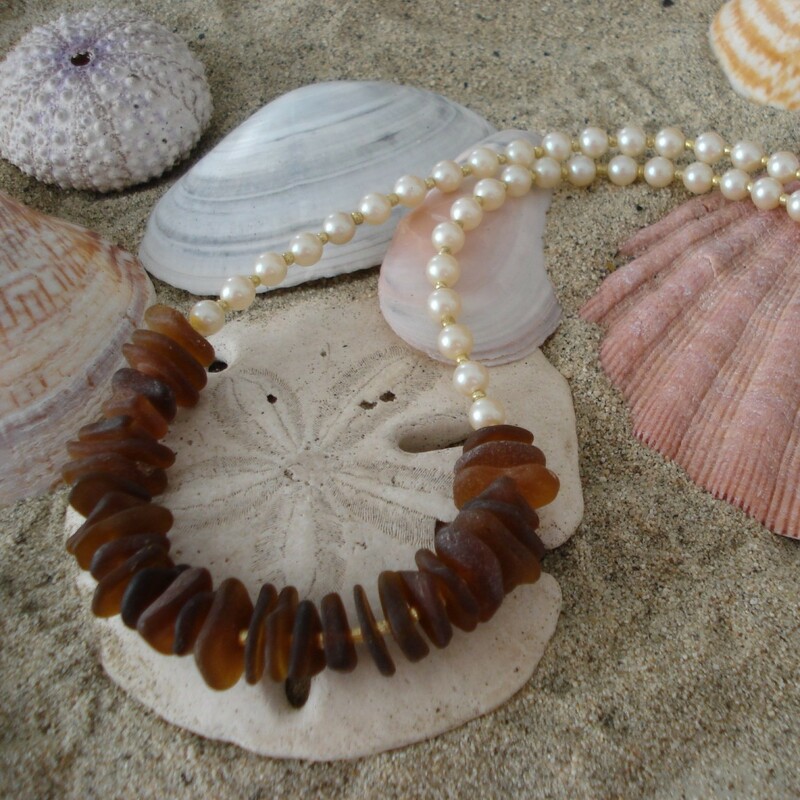 This is a gorgeous necklace and so right for summer. 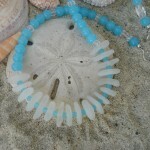 The beads are glass and the loveliest blue with white sea glass stacked in a row. 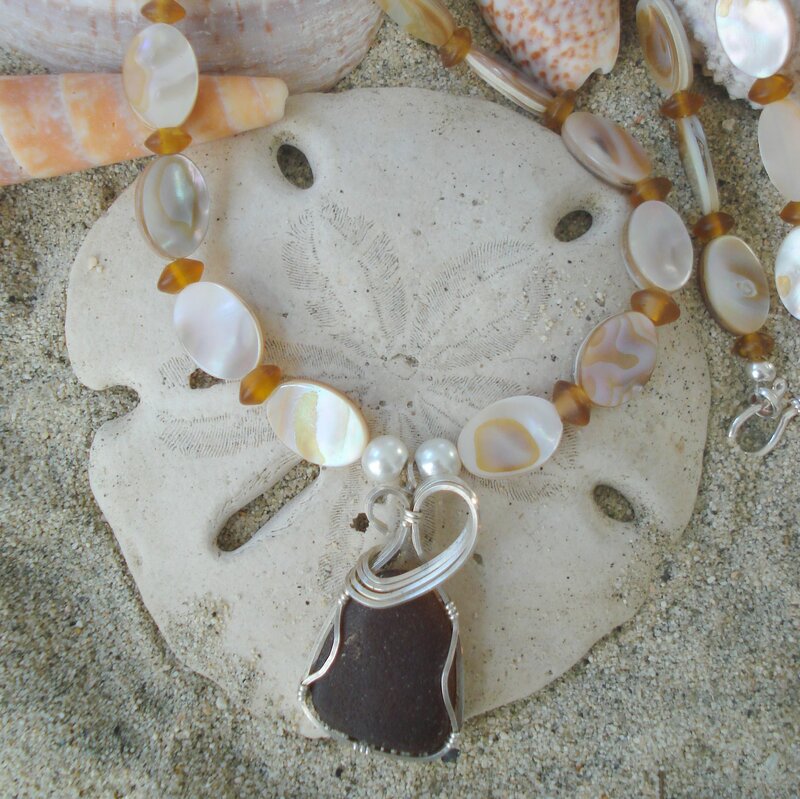 The clasp is hook and eye in sterling silver and there are tiny crystal accent beads. 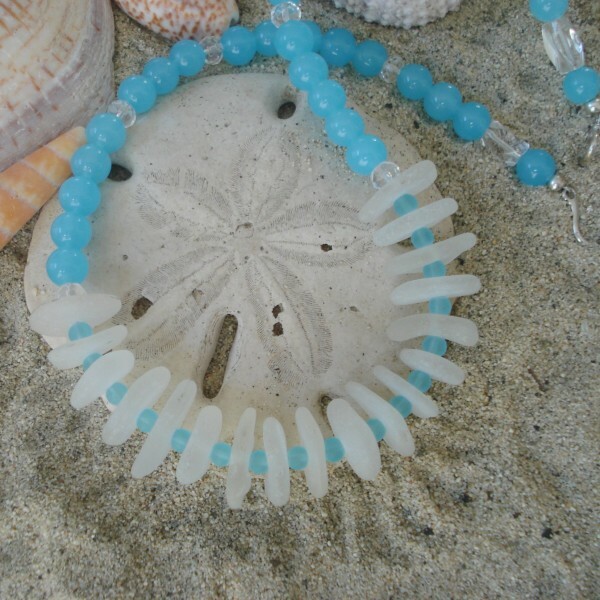 Length- end of bead strand to other end 18″ – perfect length for those summer dresses and blouses. 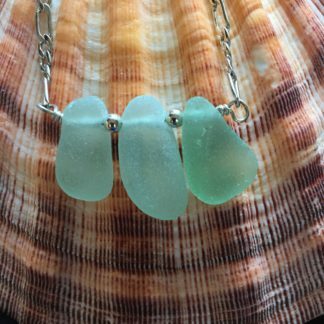 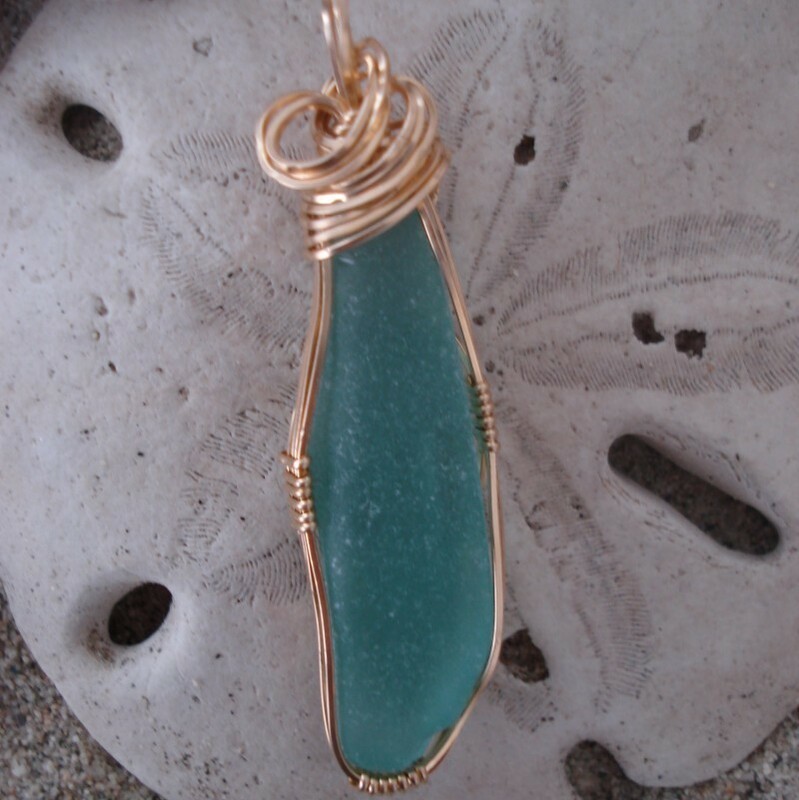 The look of nature in these sea glass pieces reflects a concern with preserving the environment – so go natural with this sea glass necklace.